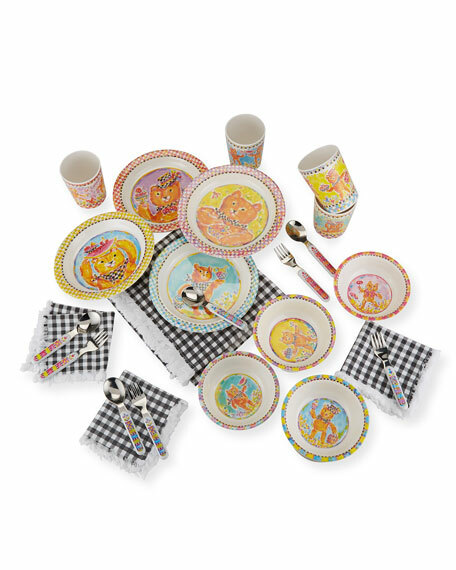 MacKenzie-Childs picnic set with various teddy bear graphics and gingham detail. 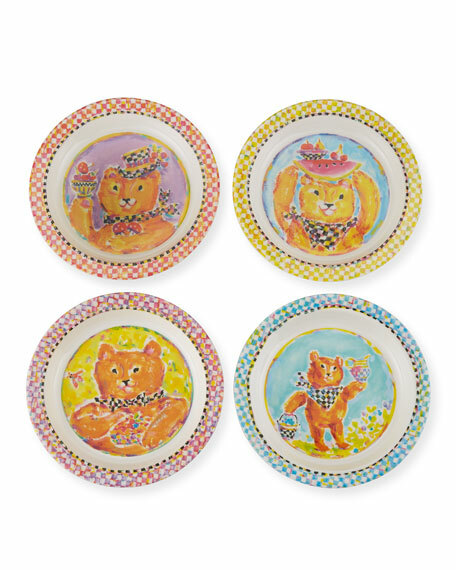 Includes four place settings: plates, 7.5"Dia. ; bowls, 5"Dia. ; cups, 4"H x 2.8"Dia. 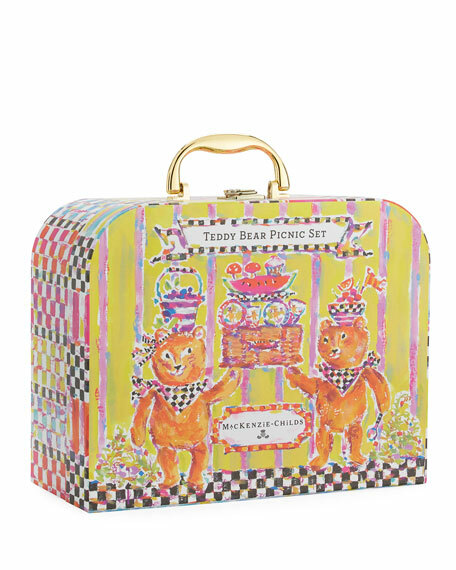 Cotton gingham table cloth, 36" square and napkins, 8.5" square. Stainless steel and resin forks and spoons, 5.5"L.
Arrives in keepsake gift box.